Rolling loud Bay Area is returning this weekend and I couldn’t be more excited! 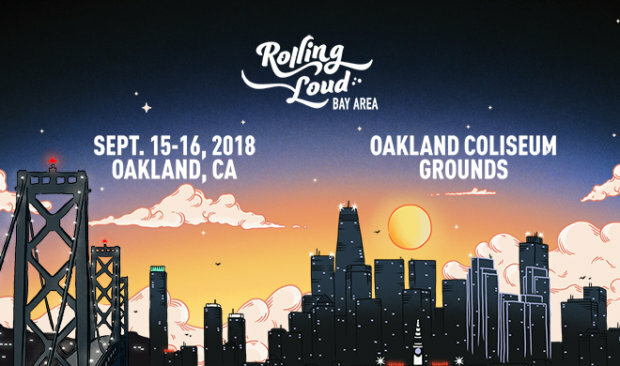 This massive two-day hip-hop festival, will take over the grounds of the Oakland Coliseum complex Sept. 15-16… featuring some of the biggest names in hip hop, including, Wiz Khalifa, Travis Scott, Lil Uzi Vert, Rae Sremmurd, E-40, Gucci Mane and many more. In addition to E-40, there are several other Bay Area artists on the bill, including, IAMSU!, Berner, P-Lo, Lil Pete, Kamaiyah and Mike Sherm. Rolling Loud Festival was co-founded by Tariq Cherif and Matthew Zingler, beginning in Miami in 2015 as a one-day festival for 6,000 attendees. It’s blossomed three years later into a global, multi-stop hip-hop gathering – expanding to two distinct events in California (the other held in Los Angeles). I can’t wait to enjoy some of the best rhyme masters and beat makers out there. Acclaimed for booking the biggest stars in hip-hop alongside the hottest up-and-comers, Rolling Loud is legendary for its surprise guests, which have included Nikki Minaj, Meek Mill and A$AP Rocky, among others. There are limited tickets left for the two-day event and you can visit rollingloud.com for more information.